Habitat - Meadows, clearings, disturbed sites. Typically in drier locations. Other information - This attractive little species can be found only in the mountainous region of Northeastern Alabama. 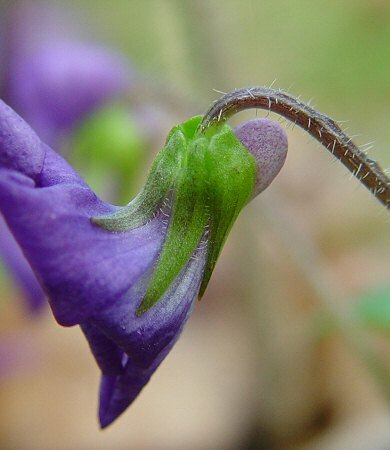 The plant can be identified by its pubescent, lance-elliptic leaves (which are truncate to cordate at the base), its pubescent peduncles (which are longer than the leaves), and its blue flowers (which have bearded lateral petals). 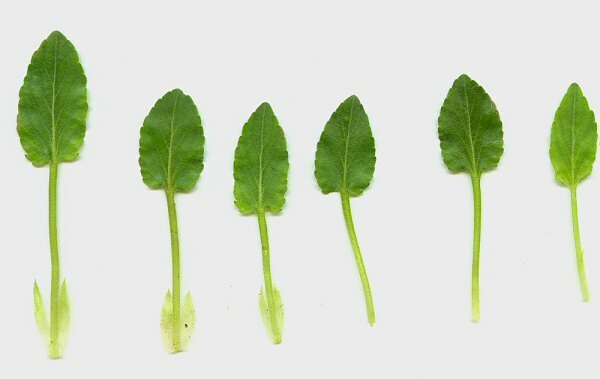 The petioles of the leaves at anthesis are shorter than or barely equaling the blades of the leaves. The stipules of the leaves are linear or sometimes fimbriate. 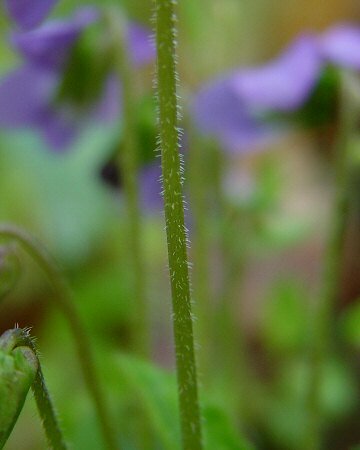 The blades of the leaves have a few larger marginal teeth near the base. 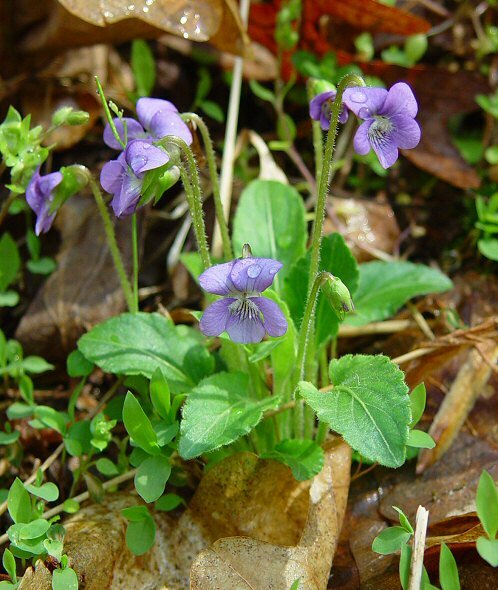 The genus name Viola is the classical Latin name for the Violets. The species epithet sagittata derives from the Latin "sagitt(a)" meaning "an arrow" referring to the leaves. This arrow shape is more pronounced in other varieties of the species. The varietal name ovata derives from the Latin "ovat" meaning "egg-shaped" referring to the more egg-shaped leaves of this variety. 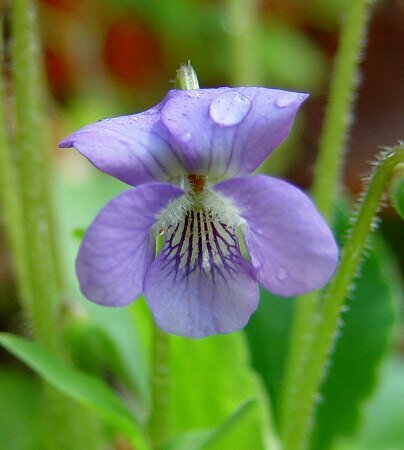 A synonym for this species is Viola fimbriatula Smith. Photographs taken in Brown Summit, NC., 4-5-03.